Integrity Staffing Solutions, the engine of opportunity for job seekers across the United States, is pleased to announce the opening of its newest Opportunity Center located in Braselton, Georgia. This new location will serve the Barrow, Jefferson, Jackson, Hall, and Gwinnett counties and the surrounding areas, offering a full range of staffing and employment services in a variety of professional and light industrial disciplines. Staffing Industry Analysts (SIA), the global advisor on staffing and workforce solutions, has unveiled its eighth annual list of North American staffing leaders, celebrating those individuals whose passion and contributions have made a positive impact on the lives and livelihoods of workers and job seekers across the economy. 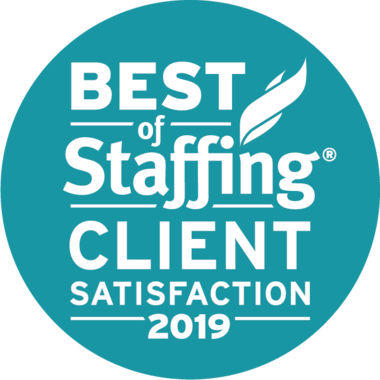 Integrity Staffing Solutions, one of the leading staffing and recruitment agencies in the United States announced today that they have won ClearlyRated's Best of Staffing® Client Award for providing superior and outstanding customer service to their clients. Annual Award honors a local IBA-member business that upholds high standards of behavior towards LGBT customers, suppliers, shareholders, community, and/or employees. Todd Bavol, President and Chief Executive Officer and Co-Founder of Integrity Staffing Solutions, was recently appointed vice chairman of the American Staffing Association (ASA) industrial staffing section council. Staffing Industry Analysts (SIA), the global advisor on staffing and workforce solutions, has unveiled its seventh annual list of North American staffing leaders, celebrating those individuals whose passion and contributions have made a positive impact on the lives and livelihoods of workers and job seekers across the economy. Integrity Staffing Solutions, one of the leading staffing and recruitment agencies in the United States announced today that they have won Inavero’s Best of Staffing Client Awardfor providing superior and outstanding customer service to their clients. novemBER 20TH, 2017 | Holiday hiring: INTEGRITY STAFFING SOLUTIONS hiring 25,000 workers for seasonal positions across the u.s. Integrity Staffing Solutions today announced it is in the process of immediately hiring more than 25,000 seasonal positions across the U.S. to staff warehouse and distribution centers this holiday season. Integrity Staffing Solutions, headquartered in Newark, Delaware was honored with the 2017 American Staffing Association Care Award. Integrity Staffing Solutions, one of the nation’s leading staffing and recruitment firms is celebrating its 20th anniversary by giving back to its employees and charities all over the United States. Integrity Staffing has earned the Safety Standard Of Excellence mark from the American Staffing Association. Integrity Staffing spends a record $6.9 million with ethnic-, woman-, veteran-, LGBT- and other minority-owned businesses in 2016. JULY 21, 2016 | Staffing Industry Analysts Rank INTEGRITY STAFFING Solutions As the 11th Largest Industrial Staffing Firm in THE U.s. The company now owns 2% of the overall staffing industry market share and has reached an estimated $554 million in annual revenue in 2015. Based on votes by the readers of Southern New Jersey Business People (SNJBP), Integrity Staffing was chosen for the Readers’ Choice Award for 2016. Staffing industry leader makes huge strides forward on annual industry ranking lists. Award honors a local IBA-member business that upholds high standards of behavior towards LGBT customers, suppliers, shareholders, community, and/or employees. Integrity Staffing Solutions announced today that it has been selected by Delaware Governor Jack Markel’s Welfare Employment Committee as a finalist for the 2016 Awards of Excellence, which recognize employers who go above and beyond in hiring, training and maintaining positive working relationships with employees who receive Temporary Assistance for Needy Families (TANF) benefits. Integrity Staffing Solutions, one of the leading staffing and recruitment firms in the United States, announced today that Jaime Donnelly, Chief Risk Officer, has been selected as a Philadelphia Business Journal “40 under 40” Honoree. Integrity Staffing Solutions announced today that Staffing Industry Analysts (SIA), the global advisor on contingent work has named Todd Bavol, Co-founder, President and CEO of Integrity Staffing Solutions to its prestigious 2016 "Staffing 100" list for the second consecutive year. Integrity Staffing Solutions is pleased to announce that Deborah Pierce, Vice President of Employee Relations & Corporate Counsel, has been named as one of the Philadelphia Business Journal’s Top Corporate Counsel for 2015. Pierce is being honored because of her accomplishments that have advanced labor relations, employment law and employee relations within the legal profession, and has been selected as the winner of the Ogletree-Deakins Labor and Employment Counsel award. Some Jefferson County high school students attending The Academy @ Shawnee in West Louisville are earning their pilot’s licenses, working on experiments that will be flown into space, or preparing to attend the U.S. Naval Academy. Others are at risk of dropping out. But with a 2014-15 graduation rate of 72.5 percent and nearly 80 percent of the students from lower-income families, additional resources to help students take advantage of opportunities available at the aviation and engineering magnet school can make a significant difference. Jobs for Kentucky’s Graduates (JKG) and Integrity Staffing Solutions are working together to ensure more students graduate from Shawnee college and workforce ready. JKG has received $30,000 in funding from Integrity Staffing and $5,000 from GE to allow the non-profit to add new programming to serve 35-45 Shawnee students who have high barriers to learning. The ever evolving and expanding task economy is slated to contribute nearly $2.7 trillion to the gross domestic product in the next decade and Integrity Staffing Solutions, one of the nation’s premier providers of staffing and recruiting services has launched a digital marketplace for talent called Erandoo, a safe, vetted platform for the white collar and blue collar sectors. Brandon Shingles, a native of Lexington, Kentucky, has been named “Industrial Sector All-Star” by the American Staffing Association. Shingles is a point guard for the Uni-Riesen Leipzig professional basketball team in Germany and spends his off-season in Lexington, KY where he works for Integrity Staffing Solutions since 2013. Integrity Staffing Solutions announced today that it has been awarded two prestigious American Staffing Association VOICE Awards and two honorable mentions in its annual national awards competition. The ASA VOICE Awards celebrate the best staffing industry marketing, advertising, multi-media and public relations campaigns of the year—based on vision, originality, innovation, communications and effectiveness (VOICE). Integrity Staffing Solutions, one of the nation’s premier providers of staffing and recruiting services, announced today its recognition on Staffing Industry Analysts’ (SIA’s) “Fast-Growing Staffing Firms” list for 2015. Acknowledged for consistent growth and as a leading firm in the staffing industry, this is Integrity’s fifth consecutive year on the reputable and highly regarded industry list. Inc. magazine today ranked Integrity Staffing Solutions on its 34th annual Inc. 5000, an exclusive ranking of the nation's fastest-growing private companies. Integrity showed a 52% increase in three-year sales growth starting in 2012. The Inc. 5000 list represents the most comprehensive look at the most important segment of the economy—America’s independent entrepreneurs. Integrity Staffing Solutions announced today the launch of a significant hiring campaign that seeks to fill 70 new full-time internal staff positions in eight new client locations across the country. Integrity Staffing is pleased to announce that its President & CEO Todd Bavol, has been chosen by the New Castle Country Chamber of Commerce (NCCCC) as its 2015 Entrepreneur of the Year. The award recognizes business leaders located in New Castle County who demonstrate innovation and commitment to their businesses, the community and the ability to turn their vision into reality. Integrity Staffing announced today that it has expanded its South Jersey Opportunity Center located at 553 Becket Road, Suite 408 in Swedesboro, New Jersey. The direct result of strong sales growth throughout the Southern New Jersey, the company has doubled its office space. Integrity Staffing Solutions, the engine of opportunity for job seekers across the United States, announced today that Christine Hahn-Proffitt, Vice President Sales & Operations for Integrity Staffing Solutions, has been nominated for the 2015 Delaware Valley HR Consultant of the Year Award. The nomination places Christine among an elite group of HR leaders in the Mid-Atlantic region. Today Integrity Staffing Solutions announced its induction into the New Castle County Economic Development Council (NCCEDC). The staffing industry leader will be joining the council as a way to help provide insight and have a greater impact on the Economic Development Council initiatives within New Castle County, DE. *Please make sure to include contact information and deadline in your message. If you're an associate and have an assignment related question, click here.